One might call an abandoned house a haunted ruins, but we like to think of it as a container, filled with stories just waiting to be told and retold—built and rebuilt—lived and relived. 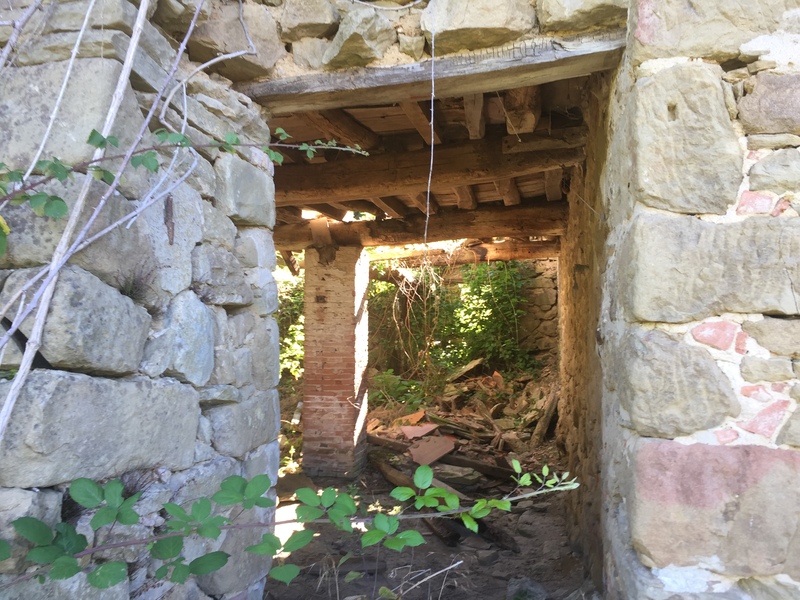 While walking the woods and back-roads of Tuscany, it is inevitabile that you’ll come across at least one unexpected hidden gem. 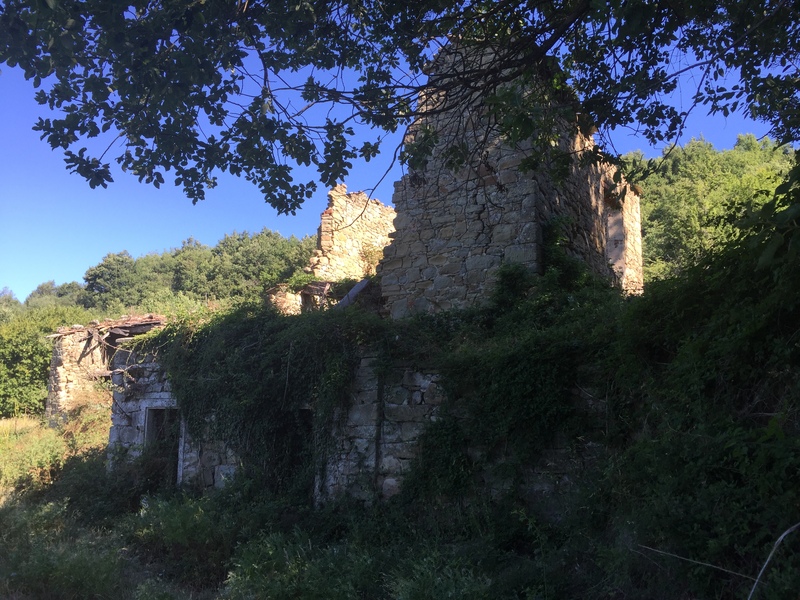 The other day, while hiking the Borselli-Castelnuovo anello (circle or loop) in the early hours of the morning, we found one of those ancient places called the “Houses of Lavacchio.” Not every ruins is noteworthy, but this one made us pause longer than usual as we got wrapped-up in its story—his-story (or rather, her-story, since we all know that houses are female). Who lived there? When was it built? What were the people like and were there children playing? Why did they leave? 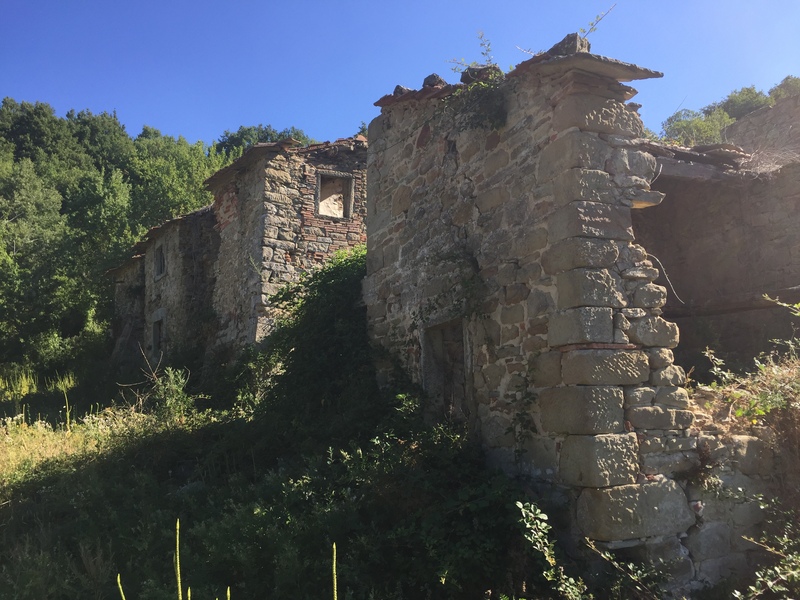 Was it their dream to be perched up on that hillside at the top of the mountain called Pratomagno with an incredible panoramic view of the Tuscan hills beyond? 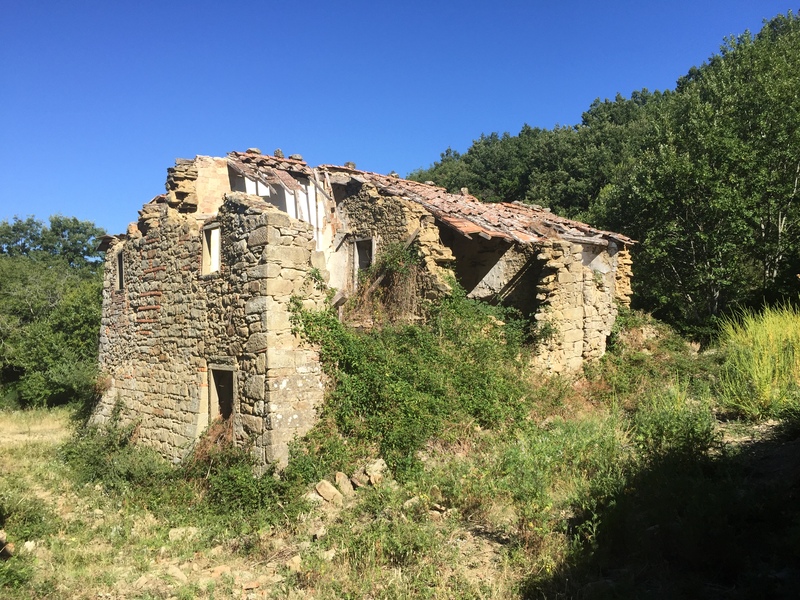 Why hasn’t anyone bought it to breathe new life into those old stone walls? And so the questions and conversation continued as we walked the long and gentle road leading to the houses, imagining the past and the future of this forgotten place. 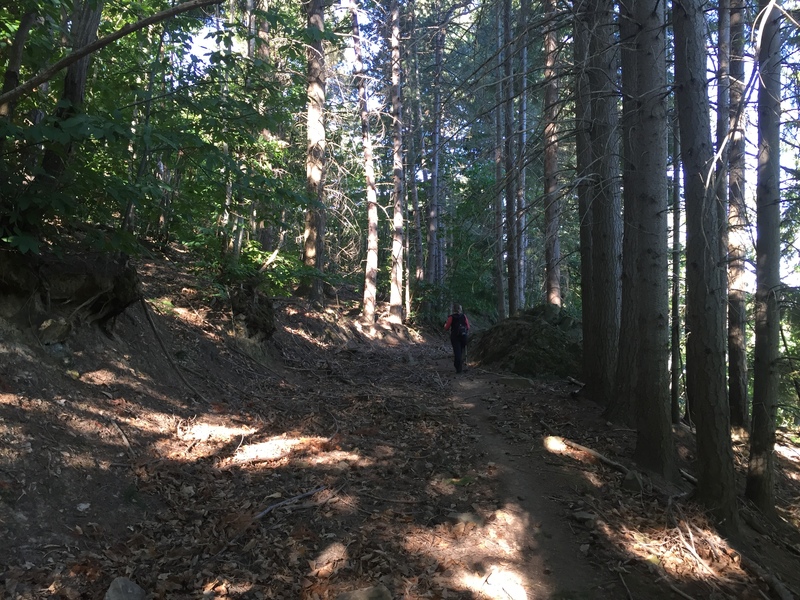 It was easy to drift into fantasy amid the cool summer breezes and the tender sounds of the country—the birds, the buzzing of the bees and even a baby cinghiale (wild boar), scurrying from the underbrush along the side of the road, confused and running for cover. We don’t know when it was built, but the years for Lavacchio could easily be counted in the hundreds since the crumbling of the roof and walls to this point in time surely would have taken the better part of a century. We imagined that some new, vibrant, young energetic pioneers will arrive some day and be overcome with vision and the spirit of adventure. They will claim this lost artifact as their own, and return that sacred space perched on the side of the mountain to its former glory. Falling in love with the remote life, they will likely create a vegetable garden, and will perhaps tend chickens, cows, pigs, rabbits and sheep—many of which will live in the restored stalls beneath the houses. Of course a few cats and dogs will complete the picture along with a horse or two for evening rides through the wooded hillside. Life will certainly be sweet. In early June we encountered such a gem: a lovely bed and breakfast in Ronchamp, called La Maison D’hôtes du Parc.